আপনার মুখ আপনার স্বাস্থ্য সম্পর্কে অনেক কিছু প্রকাশ করতে পারে ... এই ৬ টি লক্ষণ সতর্কতা সহ লক্ষ্য করা উচিত! বিশ্বাস করুন বা না করুন, আপনার মুখের উপর লেখা আছে আপনার স্বাস্থ্য! Acne, swollen eyes, cure skin – Whether you feel better or not, your health develops on your face. Although in most cases these everyday daily health problems can be ignored, but if you are experiencing these problems for a long time, then in our opinion, it is time to take your health test. Here are some health warnings that can be puffed up on your face. Treat them very late before it’s too late. Acne is okay in adolescence, but if suddenly there are many acne arises without any reason, especially on the chin, jaw and hairstyles, then it may be a sign of your hormones ineffective, allergic to some foods, digestive problems or liver disease. So instead of planting acne cream or gel, go to a dermatologist and find out the reason. It is a clear sign of the lack of vitamin B, which can easily be replaced by some changes in diet, such as whole grains, green vegetables and meat, and with vitamin B12 supplements, can be easily cured. Make sure to consult what your diet should be. The most common signs of some common problems are in your eyes. Tired eyes may cause chronic allergic reactions. Swelling eyes may be signs of sleep problems. Red eyes may indicate increased levels of your cholesterol. Your skin may have hypothyroidism and diabetes behind your skin because these diseases take away moisture from your skin. Burning in the sun, fragile skin indicates dehydration. Therefore, increase water consumption. Some nutritional deficiencies may also cause you to loose and incomplete skin. Significant signs of iron deficiency in the body are pale skin, black streaks and severe fatigue symptoms. Normally, you can fix it by choosing the right food and proper diet. If there is yellowing in the skin, it may be a sign of liver disease. Check your hemoglobin levels in your blood and consult your doctor about what you can do about it. 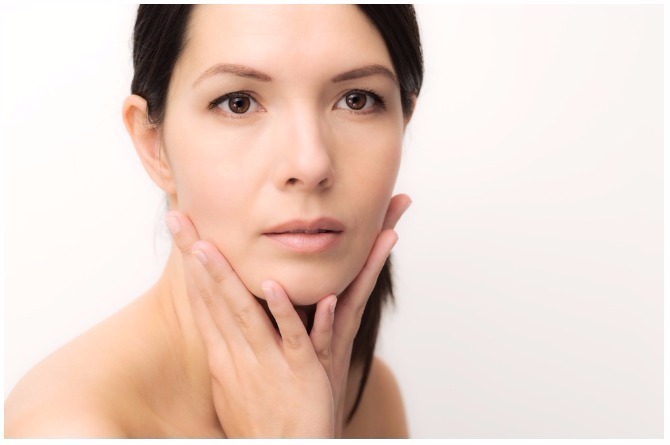 Believe it or not, your face for polycystic ovary syndrome (PCOD), such as jaw, chin, and unwanted hair grow on the lips. If you notice that the hair follicles have increased recently, then consult your gynecologist. মায়েরা, আপনার বাচ্চারা দশ বছর বয়স হবারও আগে কেন বয়ঃসন্ধিতে পৌঁছে যাচ্ছে তা এখানে দেখুন! গর্ভাবস্থায় ফোলিক অ্যাসিড খাবার সঠিক সময় কি ?